We are better able to manage expenses with Adaptive Insights and improve our margins. In the first year we saved $8 million, simply by fixing freight issues. Despite high demand for its mobile accessories, a lack of mature forecasting processes caused ZAGG to miss guidance estimates and incur high costs. By transforming into a data-driven organization powered by the Adaptive Insights Business Planning Cloud, ZAGG now has the analytics and insights it needs to understand key business drivers and develop accurate product forecasts. Real-time visibility into KPIs lets business leaders better plan manufacturing and distribution costs while significantly shortening financial reporting timelines. ZAGG is a publicly traded company that creates best-in-class accessories that protect and enhance mobile devices for consumers around the globe. The company offers a broad range of products, from the No. 1 selling industry-standard InvisibleShield® screen protectors and mobile keyboards, to power management solutions, mobile audio, and cases. In today's fast-paced, always-connected world, consumers love their mobile phones and tablets, and they're very willing to spend money on accessories to protect and enhance their on-the-go devices. But excelling in the competitive mobile accessories arena demands a clear understanding of costs, because even the most popular product can reduce profit margins if the right pricing terms aren't negotiated with sales outlets. Improving profit margins requires strategic FP&A to cost-effectively develop new products and minimize worldwide distribution costs across every sales channel. Without this step, there is risk of developing products in high demand and still incurring huge, unexpected freight expenses when demand is not forecasted correctly. ZAGG Manager of FP&A Jason Bingham clearly understands these financial issues and the benefits of having a modern, data-driven FP&A system. Using the Adaptive Insights Business Planning Cloud, the finance team and leaders across the entire company are provided with the analytics and insights needed to deliver a deeper understanding of key business drivers and nimbly navigate market changes, all while developing the mobile accessories consumers want. "The finance team is part of strategic meetings in every department because finance touches all aspects of the business, from reviewing sales contracts to helping manage product life cycles," said Bingham. "It's critical to have strategic visibility to understand what impacts product costs and margins." ZAGG's deployment of Adaptive Insights enables users to do rolling 12-month sales forecasts to understand revenue projections and more accurately plan manufacturing and distribution costs. They can do weekly sales forecasts by individual SKU to calculate the cost of goods sold, analyze actual sales to see what products are moving well, and report on profitability. It's also easy to run what-if scenarios and generate ad hoc reports. "The system has more than paid for itself and helped us improve the business. It all comes down to profit margins," said Bingham. "In the last year, margins have gone up almost 5% across the company's entire product portfolio, translating to a positive impact of $10 million." When Bingham joined ZAGG four years ago, the publicly held company had few mature forecasting, budgeting, and reporting processes in place. While the sales staff did some sales forecasting, too often product demand forecasts were off. This required products to be shipped overnight from China, hurting profit margins. It was also difficult to accurately analyze how customer discounts and wholesale pricing impacted overall profit margin. The year Bingham joined ZAGG, the company missed its guidance estimates of net sales by 33%. "We were over $100 million off in our estimates," said Bingham. "So it was decided finance should take over forecasting and create standard financial processes." These key developments helped ZAGG transform into an organization focused on harnessing data insights and strategic analysis to more cost-effectively develop and distribute products. Another critical component was the decision to implement the Adaptive Insights Business Planning Cloud with connectors that bring in data from ZAGG's enterprise resource planning and customer relationship management systems. Now, Bingham and his team have easy and fast access to a centralized and complete data repository for accurate forecasting, planning, and reporting, yielding huge benefits for ZAGG. From the start, the new system made it much easier for Bingham and his team to strategically analyze data to identify areas for improvement. Goal No. 1? Fixing product supply issues to reduce expenses. Using Adaptive Insights, Bingham and his staff developed accurate product forecasting and improved visibility into the product ordering process. Today, staff members are more educated about freight costs, and because they have increased visibility of consumer demand and sales projections, they are able to order the right products with enough lead time to be delivered via less costly ocean freight compared to overnight air freight. "We are better able to manage expenses with Adaptive Insights and improve our margins," said Bingham. "In the first year we saved $8 million, simply by fixing freight issues." In the past, sales executives would come to a meeting with revised sales numbers, and Bingham had to track down why a number had changed. Now, since all departments are on the same system, everyone has accurate and real-time visibilityinto the same information. As a result, sales staff take more responsibility for forecasting accuracy, in both rolling 12-month forecasts and weekly sales forecasts. Another big benefit to ZAGG's modern FP&A system is that leaders can use dashboards to visualize how KPIs are performing on a continuous basis to improve decision-making. For example, sales managers can see the impact of sales discounts and identify top-selling products, while product managers can track actuals versus variances to forecasts to determine which products are doing well and even which colors are most in demand. And because executives have access to information more quickly, they can make course corrections to circumvent potential product distribution issues or determine if margins are going to meet expected targets. Bingham and his staff also enjoy using OfficeConnect for reporting because it has significantly shortened financial reporting timelines. Each month, the finance staff needs to generate several reports for each major account and each product category. With Adaptive Insights, ZAGG is saving a full day's work of two people every month, averaging a savings of 24 days of reporting work over a year. 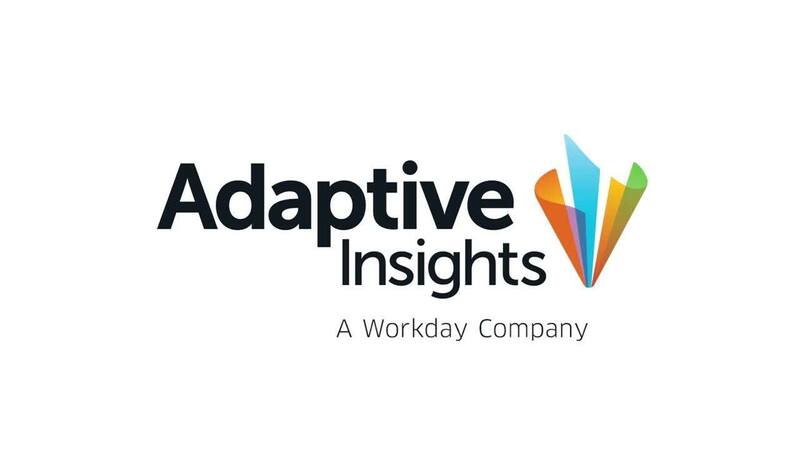 "With Adaptive Insights, my role is much more strategic. My team and I spend more time helping drive decisions rather than building reports," Bingham said. "It's a huge benefit to be able to really contribute to the success of the company." With Adaptive Insights, my role is much more strategic. My team and I spend more time helping drive decisions rather than building reports. It’s a huge benefit to be able to really contribute to the success of the company.